Leading mobile app development company BV Mobile Apps has recently partnered with renowned social network for black bloggers Black Bloggers Connect that will facilitate the great opportunity for BBC bloggers to have their app developed by BV. Atlanta, Georgia - Leading Atlanta-based mobile app development company BV Mobile Apps has entered into a partnership agreement with Black Bloggers Connect, a renowned social network for black bloggers. As per the terms of the partnership agreement, Black Bloggers Connect community members will be made aware of the great opportunity to have their own mobile app created by BV. The partnership became effective as of September 1, 2016. "Black Bloggers Connect is excited to partner with BV Mobile Apps. For bloggers and digital media mavens, apps are one of the gateways to success. BV Mobile Apps will provide access to the opportunity to further engage readers and followers", stated Jessica Ann Mitchell Aiwuyor, the founder of Black Bloggers Connect. Several bloggers affiliated with Black Bloggers Connect community had expressed interest in having their own mobile app given the supreme competitive edge assured by an app today. 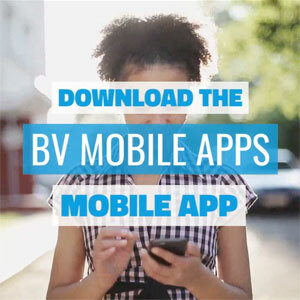 BV Mobile Apps offers a premium mobile app experience at an affordable price; therefore this partnership will offer great value for Black Bloggers Connect members. The seeds of this partnership were planted when BV Mobile Apps co-owner Gerald Olivari spoke at the Black Bloggers Connect annual conference in Washington D.C.
"We have been on the lookout for a quality organization comprised of bloggers with whom we can establish a partnership; Black Bloggers Connect is a perfect fit. Knowing how important mobile apps are to bloggers today, we're looking forward to meeting and exceeding the mobile app needs for both Black Bloggers Connect and their incredible members. We're confident the apps we create for the BBC community will enable them to leverage the technology to grow their audience and generate more revenue" according to BV Mobile Apps co-owner Marshall Lyons. Based in Atlanta, Georgia, BV Mobile Apps is a top mobile app development and hosting company that specializes in developing apps for a wide array of primarily entertainment-based clients. Founded by Gerald Olivari and Marshall Lyons, BV Mobile Apps caters to music artists, producers, DJs, indie radio shows, bloggers and more! Their value is unmatched as they offer affordable pricing while still maximizing value. Founded in 2013, Black Bloggers Connect is now a leading social networking portal for bloggers & journalists of African descent from 20+ nations around the world. "PODCAST: Music Industry Tips from The College of Hip-Hop (TCOHH)"